Found in Broward County, Florida, Sunrise is a part of the Miami Metro area. The population of the city is about 91,000 residents, while the Miami Metro area has about 5.6 million residents. Along with the large population, the area attracts millions of visitors every single year. With a location not far from Fort Lauderdale and many other very popular destinations, Sunrise ends up with plenty of visitors. The mixture of visitors and residents makes the roads dangerous. Visitors often come with their own driving style and they don't know the roads very well. During peak season, the roads become very busy, which only adds to the issues. Sunrise is found near Interstate 75, Interstate 595, Florida's Turnpike and Interstate 95. I-75 runs through part of Sunrise and is known as the 15th most deadly highway in the country. I-95 runs through Broward County not far from Sunrise and it's known as the most deadly highway in the country. More than 650 fatal accidents happened on I-95 in Florida from 2004 to 2008. About 26,000 traffic accidents happen year in Broward County with many leading to injuries. Nearly 200 fatalities come from traffic accidents in Broward County every year. Traffic accidents are only getting worse throughout the county and throughout Sunrise. Can you even imagine how bad the numbers would be if the law enforcement in the area didn’t' monitor the roads? Law enforcement in the area issued about 195,000 traffic tickets throughout the county. These tickets included over 96,000 for speeding, more than 18,000 for driving carelessly and more than 15,000 for disobeying a traffic sign or signal. These offenses are the most likely to lead to accidents and many drivers were issued warnings in the area, as well. In the State of Florida, you will have your license suspended if you end up with too many traffic tickets in a short amount of time. It's all based on a points system and if you get 12 points in a one-year period, you will lose your license for 30 days. 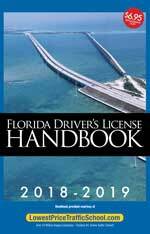 Get 18 points in 18 months and your license suspension will be for 90 days and if you get 24 points in 36 months you lose your license for a full year. It's pretty easy to see how just a few tickets can add up in a hurry. The worst part, if you get your license suspended and you get caught driving, you face up to 90 days in jail and $500 in fines. Avoiding points on your license can be one by enrolling in traffic school and taking the basic driver improvement course. This course can be taken online from the comfort of your home. It will allow you to keep your license clean and your insurance rates from going up. All you have to do is plead guilty or no contest to the ticket and pay the fine. When you pay the ticket, let the clerk of the court know you will enroll in online traffic school. Then, you can go home, log on and enroll in the basic driver improvement course. Take the course at your leisure and pass the test. You will be issued a certificate of completion as soon as you're done. This certificate will need to be turned into the clerk of the court and you're all set. This is all it takes to ensure you keep points off your license and your insurance rates from going up. 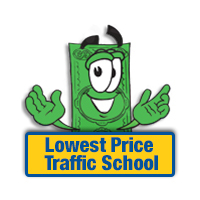 In the State of Florida, you can enroll in traffic school to keep points off your license up to five times in your lifetime. However, you're only allowed to use the course once every 12 months. If you haven't taken the course in 12 months or a total of five times, you're eligible to enroll in online traffic school. After receiving a traffic citation in Sunrise, you will need to pay it with the Broward County Clerk of the Court. The clerk of the court will also answer any questions you have and take your traffic school certificate of completion. Find out everything you need to know about the Broward County Clerk of the Court by visiting their website.